A young American soldier (Joe) in WW I is wounded by a landmine. He looses his arms, legs and eyes as well as his ability to hear, speak or smell. Lying in hospital he is not able to distinguish if he is awake or if he is dreaming. Trying to find out he relives his story in strange dreams and memories. One day Joe finds a way to communicate with the doctors ... A young American soldier, hit by a shell on the last day of the First World War, lies in a hospital bed, a quadruple amputee who has lost his eyes, ears, mouth and nose. He remains conscious, and able to reason, and tries to communicate to his doctors his wish that he be put on show in a carnival as a demonstration of the horrors of war. "Each man faces death by himself... Alone" For years after seeing Metallica's "One" video I had wondered where the images of the poor wounded soldier had come from, then earlier this year I found out. 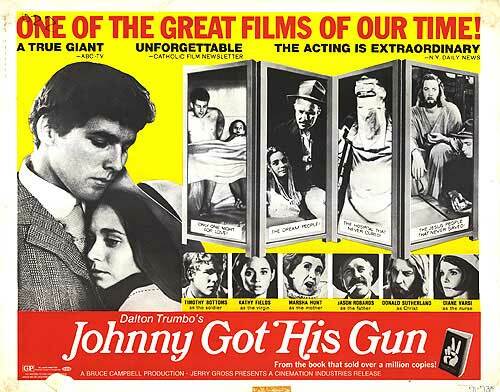 I watched Johnny Got his Gun for the first time last week, and I must say it was a bit of an anti-climax. For the most part Joe just lies in a bed, his thought's made clear to us in a mixture of voice over, flashbacks and surreal dream sequences. The theme of the film is very important, being trapped inside you're own mind, having to die alone, the futility and stupidity of war, but the film is just to drawn out, with not enough of the text of Trumbo's novel translating to the screen. The book is too cerebral to work as a film. Another problem with the film is that people in other comments have given away Joe's afflictions, part of the horror of the film is the slow realisation that Joe has lost his arms, then his legs, then his face... If this was a surprise we might be able to feel more for Joe, but we don't know enough about the character to really feel for him, he's far too anonymous, the most we can do is pity him, this may be the point of the film I'm not sure... But if Trumbo wanted us to identify with Joe he went about it the wrong way. 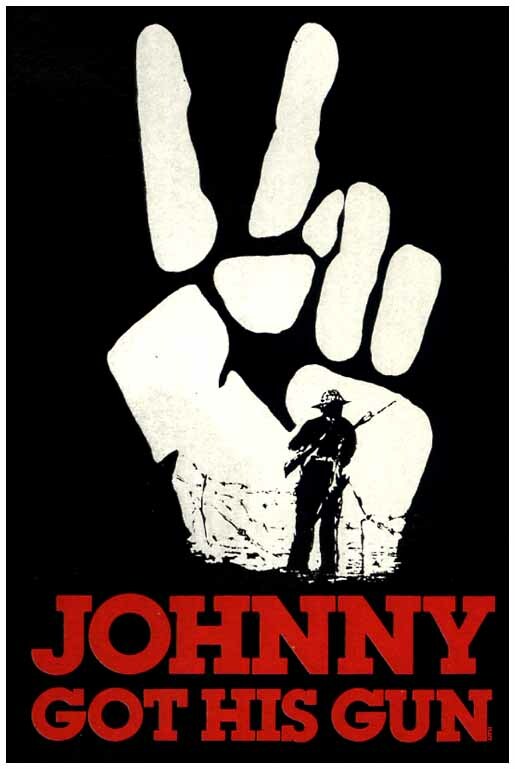 The acting isn't bad, Bottoms does very little, the main standout is Jason Robards as Joe's father, and Donald Sutherland turns up as the human manifestation of Christ. But far too many of the scenes just don't work (I found the scene where the nurse gets involved with Joe whilst he dreams about his former girlfriend both laughable and in poor taste). The ending just about manages to save the film, being sad without being what you would have predicted, but I can't help feeling that the film worked better with Metallica's heavy metal in a four-minute video clip. The novel may be a classic, but the film is not.